The Jones Graduate School of Business at Rice University is one of the world’s leading business schools. Named in honor of the late Jesse H. Jones, a prominent Houston business and civic leader, the Jones School is distinguished by its strong foundation in accounting, finance, marketing, organizational behavior and management with areas of excellence in energy, entrepreneurship and health care. Degreed programs include the Rice MBA, MBA for Executives, and MBA for Professionals as well as joint MBAs in medicine, engineering and professional science and a PhD for candidates aspiring to become research faculty. The Rice MBA seeks to shape the next generation of action-oriented, innovative thought leaders, who will motivate peers and implement change. The practical learning approach of the MBA curriculum effectively transforms the way you learn by blending three essential elements to improve and amplify students’ strategy, leadership and creative credentials: 1. A comprehensive core of courses in finance, accounting, data analysis and marketing that builds a solid foundation of fundamental business principles in small approachable classes. 2. The Action Learning Project – placing MBA candidates in real world projects as soon as they walk into class. Plus summer internships and numerous field-project-oriented electives offer ample opportunities for practical experience. 3. Specialized concentrations across ten functional and industry-specific areas allow you to demonstrate functional expertise in a particular area of interest. To apply for admission to Rice University, applicants must submit official transcripts of all college-level work, GMAT scores, two letters of recommendation, a current resume, and three personal essays. When evaluating applicants, Rice looks for both qualitative and quantitative skills; however, a strong academic track record is paramount in an adm...To apply for admission to Rice University, applicants must submit official transcripts of all college-level work, GMAT scores, two letters of recommendation, a current resume, and three personal essays. When evaluating applicants, Rice looks for both qualitative and quantitative skills; however, a strong academic track record is paramount in an admissions decision. There are no minimum GMAT or GPA scores required for admission. The mid-50% GMAT range is 640 to 710, though a high score does not guarantee admission, just as a low score does not prohibit it. Every course offers unparalleled opportunity to work one-on-one with an accessible, involved, and energetic faculty. The Jones School faculty maintains an important balance between teaching and research, believing that current industry knowledge is as critical as textbooks to your education. Second-year students tutor first-year students on an informal basis. 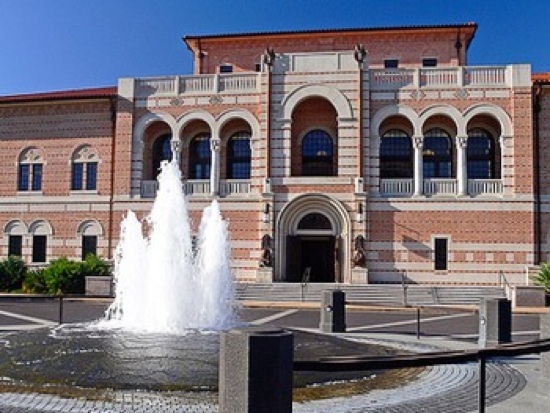 Want more info about Rice University, Jones Graduate School of Business Executive MBA? Get free advice from education experts and Noodle community members.